Christianson Hay & Straw was established in 1981 to supply customers with quality hay and clean straw at a good price. 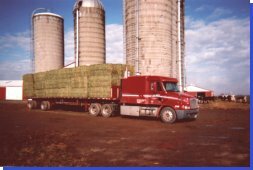 With over 32 years of satisfied customers, Christianson Hay & Straw works to meet your individual needs for hay or straw. All hay is tested for quality, and satisfaction is guaranteed. 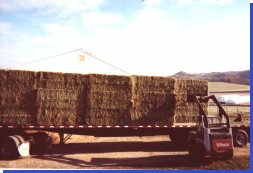 Hay and straw are delivered anywhere by the semi-load in 3 X 3, 3 X 4, and 4 X 4 bales. ©Copyright, Christianson Hay & Straw, All Rights Reserved.